Do you want to create a landing page in WordPress? Using a well-designed landing page, you can build various types of marketing campaigns, drive more internet traffic to your site, and turn most of the landed traffic into customers and leads. In this article, we’ll show you how to create a landing page in WordPress step-by-step. A landing page is a webpage that’s designed to increase sales and collect more leads. It’s a purpose-built page where you want people to land, view your content, and take an action; like buying a product, subscribing to your site, playing a video, etc. Broadly, a landing page is a powerful marketing process that serves both as a traffic-generating tool as well as a conversion machine. First, you can create various marketing campaigns like paid marketing, email, social media, etc. using a landing page to drive more traffic to your site. Second, you can convert most of the traffic coming from these sources into customers and increase your revenue. Since the goal of a landing page is to convert more of your website traffic into customers, you’ll need to make it look attractive and engaging. Above all, you’ll have to properly design and organize the various call-to-action elements like the buy button, signup forms, play media button, etc. in an appealing way. If you want to learn more, here’s our complete guide on how to structure a landing page that converts. Creating a landing page in WordPress is fairly easy when using a WordPress landing page plugin. Even if you’re not a developer, you can create a high-converting landing page in WordPress and boost your website traffic and sales. There’re several WordPress landing page plugins on the market; however, not all plugins are created equal. Hence, we’ve created a list of the best landing page plugins for WordPress from which you can choose your favorite and start building a landing page. In this tutorial, we’ll show you how to create a landing page in WordPress using the Beaver Builder plugin. It’s the best WordPress landing page plugin we’ve used thus far. Now, let’s go ahead and see how to create a WordPress landing page, step-by-step. First, you’ll need to visit the Beaver Builder website and purchase the plugin. Then, you can download the plugin file to your computer and copy the plugin license key. Next, you’ll have to log into your WordPress dashboard and install the plugin. If you need detailed instructions, here’s our step-by-step guide to installing a WordPress plugin. After it’s installed, don’t forget to activate it. Then, you’ll need to enter the plugin license keys by visiting Settings » Page Builder from your admin panel. There, you’ll see a field to enter the license keys. 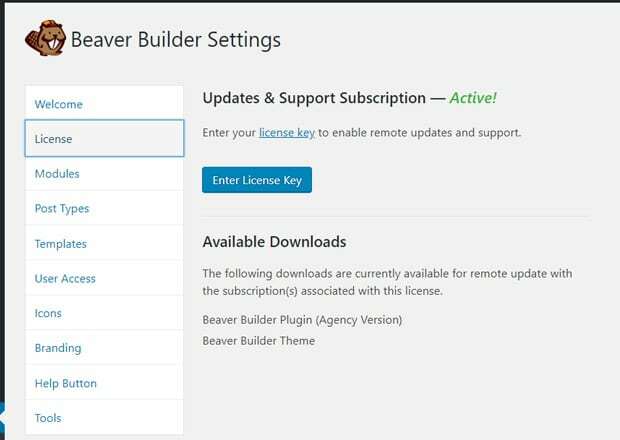 Enter the license keys you’ve copied from earlier via your account on Beaver Builder’s website. After that, you’ll see the plugin Updates & Support Subscription status as Active which means you’ve completed the basic plugin configuration process. 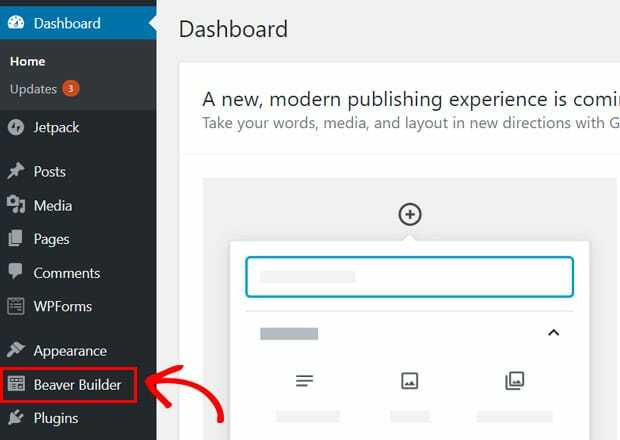 Now, if you refresh your WordPress dashboard, you’ll see a new menu called Beaver Builder added to your dashboard menu. This means that you’re ready to create your first landing page. Now that you’ve successfully installed the Beaver Builder plugin and configured your settings, you’re all set to create a new landing page. First, go to Pages » Add New from your WordPress dashboard to create a page. Now, you’ll see a regular WordPress page template as provided by your theme but with an extra Beaver Builder tab above the post editor. Name the page first. Next, click the Beaver Builder tab to launch the builder interface. With some themes, you’ll need to change the page template from the Page Attributes section on the right-hand side before clicking the tab. 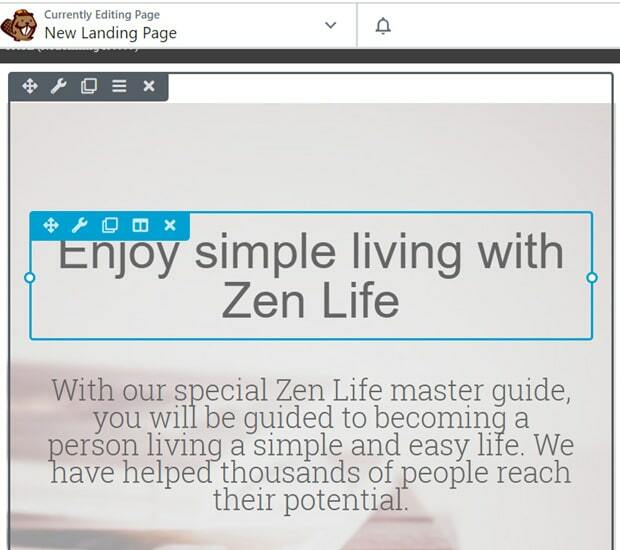 You’ll see a blank space on the left and page builder elements on the right side of the page. 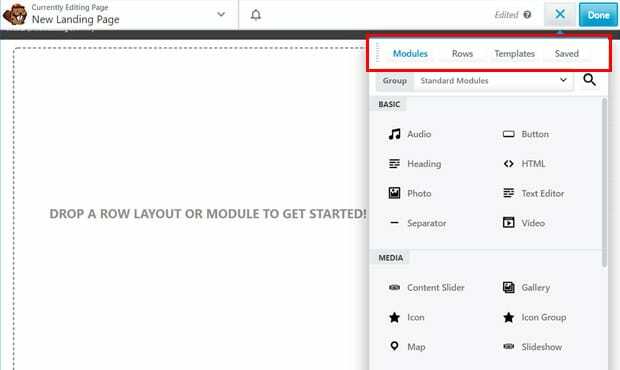 You can see Modules, Rows, and Templates on the right-hand page builder panel. Now, you can drag a row layout or module to the left side and start editing. However, the best option is to use the Templates because they provide a professional landing page design you can use with minimal customization. So, click the Templates tab to see the available templates. There’re several pre-designed professional-looking templates available. Choose 1 by clicking on it. Then, Beaver Builder will load the template in the preview window on the left. The next step is to customize the template with your own content. Customizing the landing page template is very easy as you can tweak each and every element simply by pointing and clicking on it. You can change the text, its style, color, alignment, layout, etc. to fit your product or overall brand. Similarly, you can change the background color or images used within the template with your product-related standard colors and images. Also, you can adjust the height and width of the rows and columns. 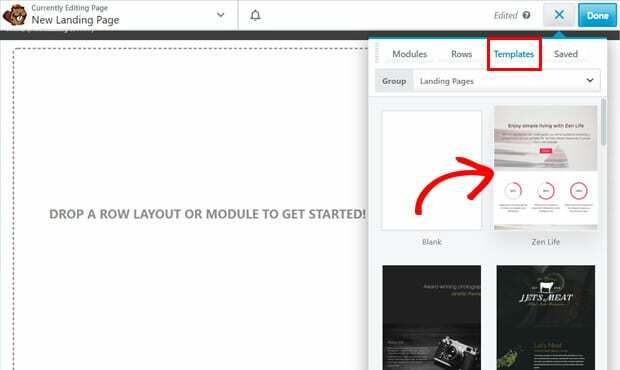 If there’re some content blocks, rows, or modules which are not useful to your landing page, you can delete them by simply clicking the cross icon on mouse hover. You can also duplicate a content block, row, or module simply by clicking the duplicate icon on mouse hover. 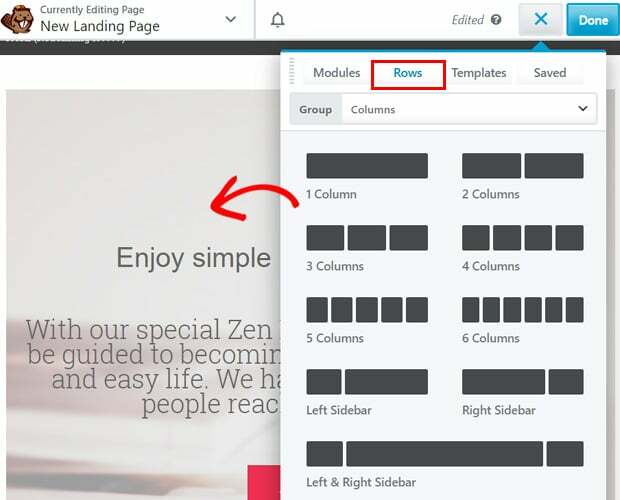 Additionally, you can simply add new rows to your landing page template. To do that, you’ll have to click the Add icon next to the Done button on the top right-hand side. Then, switch to the Rows tab and simply drag the row you want to use to the page editor screen on the left. After that, switch to the Modules tab and drag the modules to the rows you created earlier. Then, you can add content to the modules and customize as you like. Once you’re satisfied, click the Done button on the top of the right side. Then, you can publish the page or save it as a draft. Once published, you can visit the page on your site to view your landing page in action. If you want any further changes, you can make modifications at any time. That’s all! It’s an effortless 3-step process to create a WordPress landing page using Beaver Builder. Now that you’ve published your landing page, you can start building marketing campaigns to drive more traffic. Then, the rest of the job will be done by your landing page (i.e. converting more traffic into customers). Yet, you’ll need to monitor how your landing page is actually performing. MonsterInsights will help you do that by tracking your landing page visitors and their interactions on your site. MonsterInsights is the best Google Analytics plugin for WordPress. It allows you to install Google Analytics in WordPress easily without having to edit your theme file to insert the Analytics tracking code. After it’s set up, it automatically tracks your site’s overview report and provides you with easy-to-understand reports inside your WordPress dashboard. 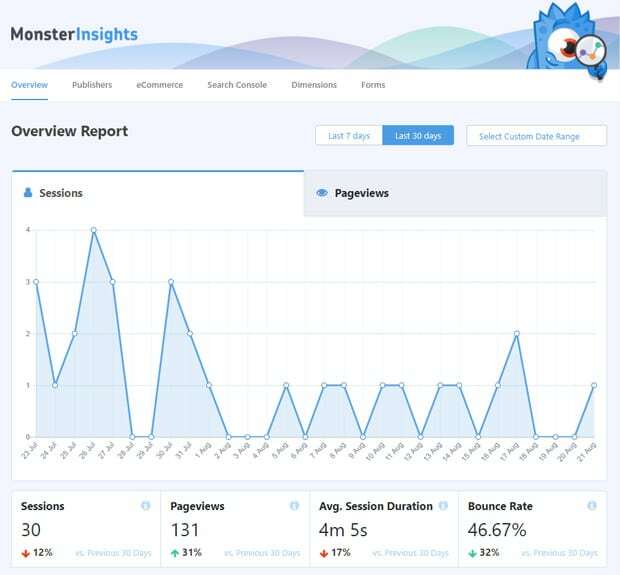 A quick summary of the website analytics report is available in MonsterInsights’ dashboard widget. In addition, you can track advanced metrics like downloads, eCommerce transactions, custom dimensions, etc. using this plugin. MonsterInsights is very useful for a fast-growing landing page. So, if you found it useful, download the plugin today! If you’re still conflicted, you can check out all of its features before making your purchase. 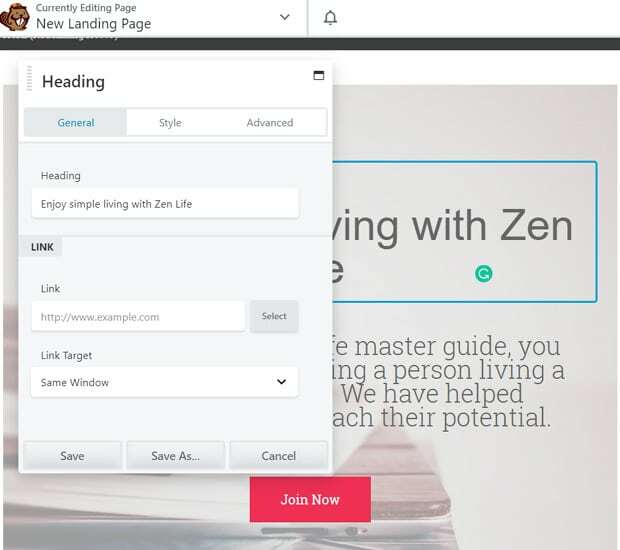 We hope this article helped you to learn how to create a landing page in WordPress easily. You might also want to check out our guide on 4 ways to boost your site’s SEO rankings with Google Analytics. this is a really useful article to make a landing page in such an easy way . I also used beaver builder. It is really very useful and very fast page builder. 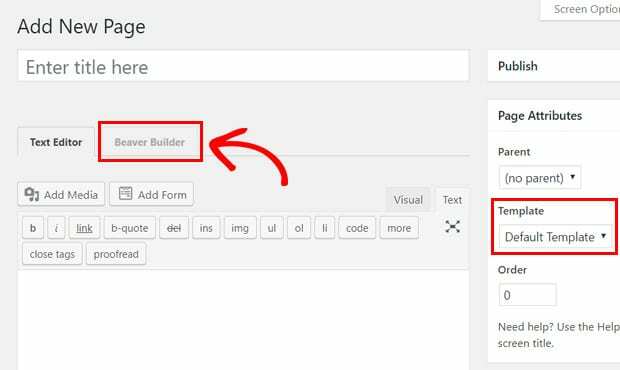 I want to add one more page builder plugin named Elementor pro. I liked these two page builder to work. These two both are very fast builder plugin and easy to customize. Your step by step instructions will be very helpful to use Beaver Builder. Great to know you found it useful. We agree with you. We’ve featured Elementor on our list of best WordPress landing page plugins.